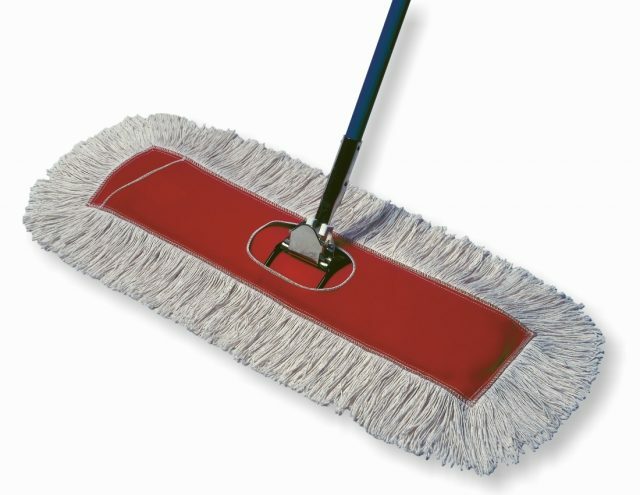 Our Cotton Dust mops combine the benefits of natural yarn and synthetic backing. Made from 4-Ply cotton yarn with synthetic backing. Synthetic backing is less likely to stain, less likely to wick treatment from yarn and is virtually shrinkless. Available in three styles: Keyhole Square Ends with Snaps, Slot Pocket and Breakaway. Available in choice of yarn and backing colors: white, green, blue, yellow, and orange. Sizes available: 5” width ranging from 12” to 72” in length.